yep, you read this right! you get another opportunity to drink for the MEF. go down to the Ram (U Village ONLY) december 11-18th, order some grub, watch a game or two and drink purple beer. 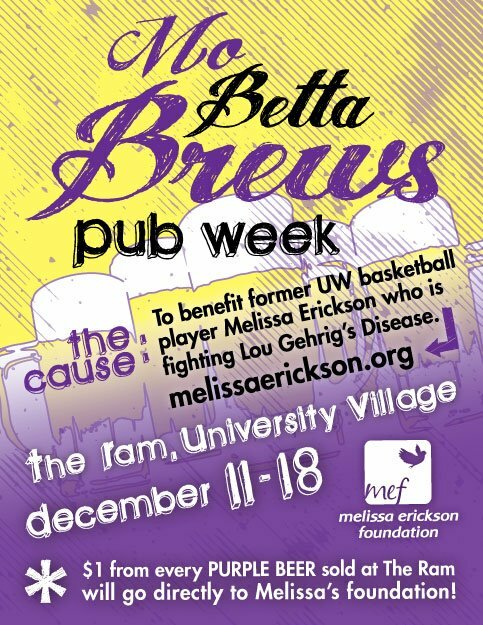 not just beer, but PURPLE BEER...$1 from every purple beer sold will go directly to the melissa erickson foundation. drinking for a good cause is always a good time and everything is better when it's purple...true, true.